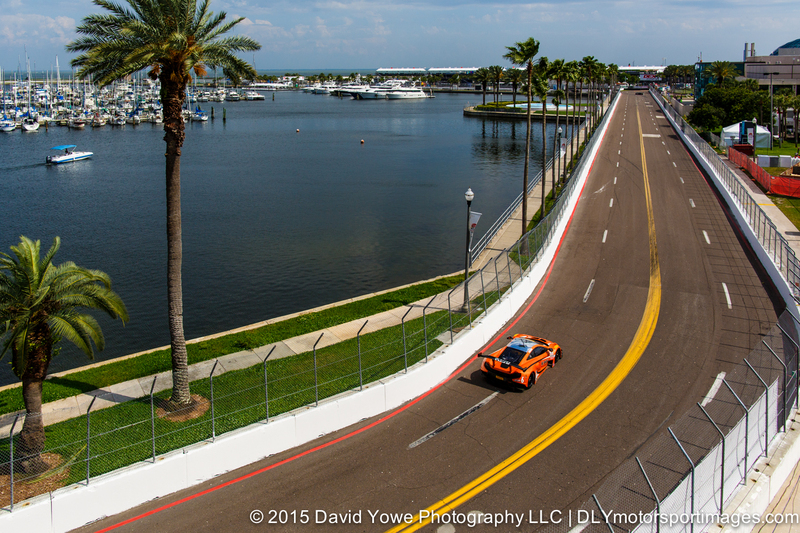 Rounds 3 and 4 of the GT class for the Pirelli World Challenge (PWC) was held on the streets of St. Petersburg in Florida. 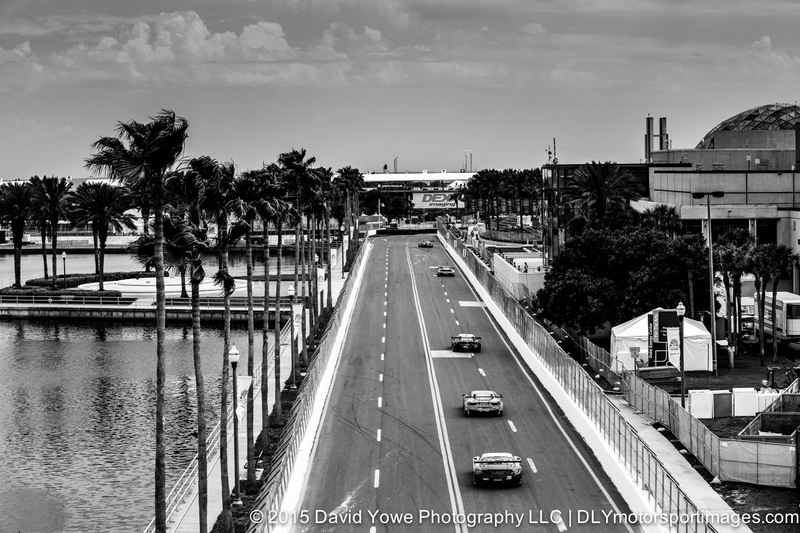 The picturesque 14 turn street circuit is about 2 miles in length and encompasses the beautiful harbor front, the Al Lang Stadium, Dali Museum, and part of the Albert Whitted Airport. First up is the Thursday afternoon test session. Hope you like the photos. For the afternoon test session headed over to the outside of Turns 6 and 7. 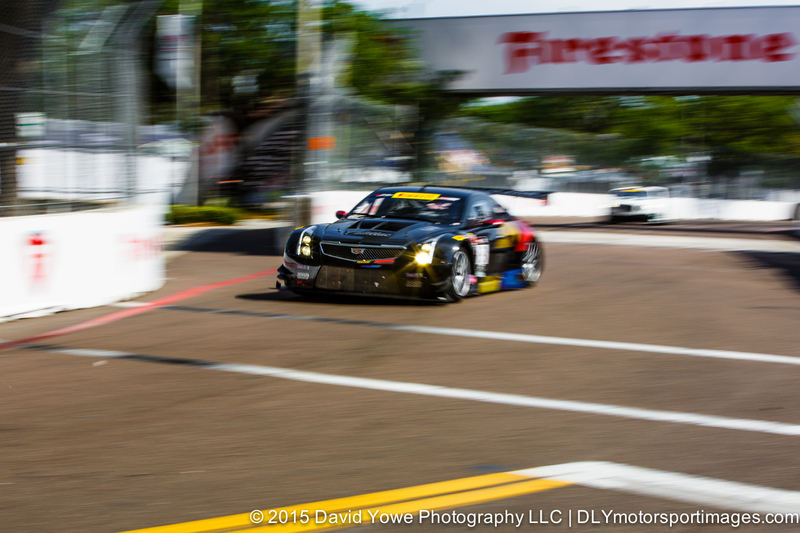 Here’s, the 2014 GT Class Champion, Johnny O’Connell in the #3 Cadillac Racing Cadillac ATS-VR GT3. 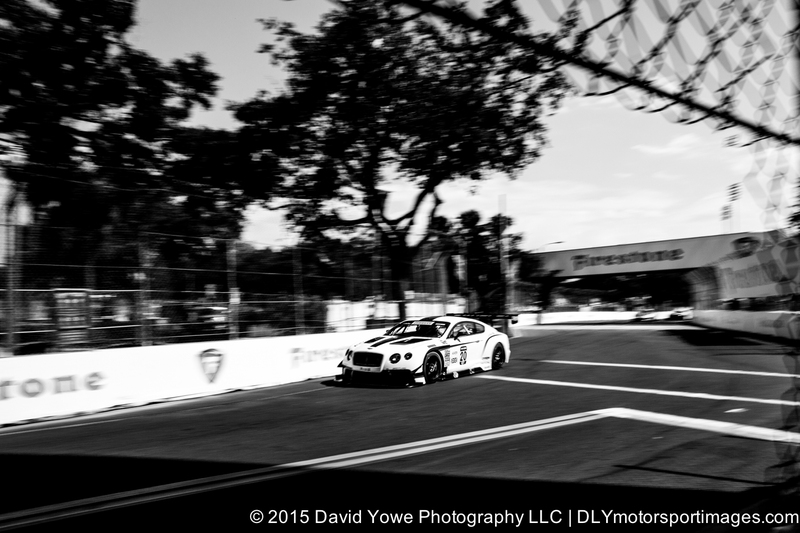 “Through the wire” with Butch Leitzinger in the #20 Bentley Team Dyson Racing Bentley Continental GT3. 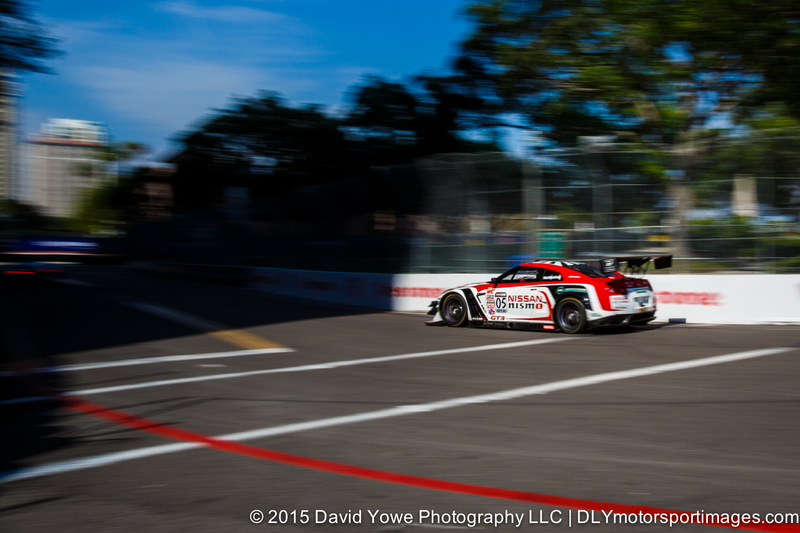 “Into the shadows” with Bryan Heitkotter in the #05 Always Evolving Racing Nissan GT-R-GT 3. Headed over to the top of the baseball stadium for some shots of the cars speeding down the Turn 9 to 10 straight next to the beautiful waterfront. Robert Thorne in the #6 K-Pax Racing McLaren 650S GT3. 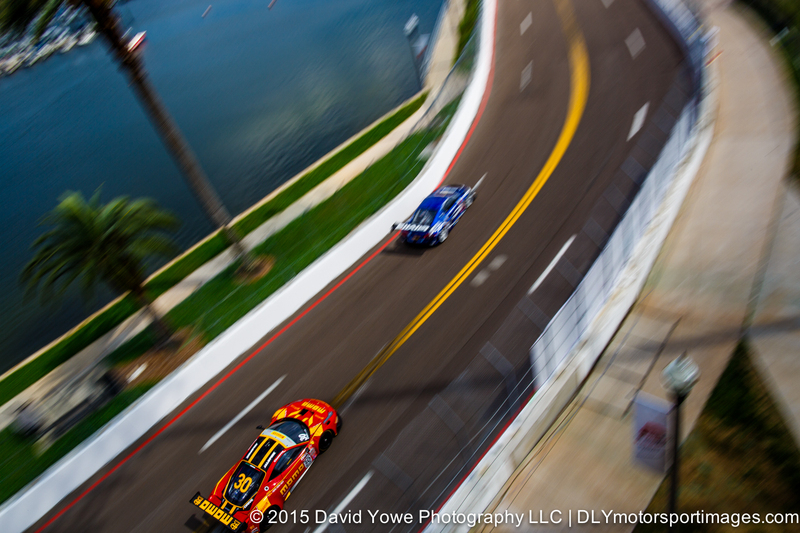 “Slot cars” with Henrique Cisneros in the #30 NGT Motorsport Ferrari 458. “1, 2, 3, 4, and 5” down the the Turn 9 to 10 straight.